Notions > Sprays, Glues & Adhesives > 505 Spray & Fix Adhesive - 12.4 oz. 505 Spray & Fix Adhesive - 12.4 oz. 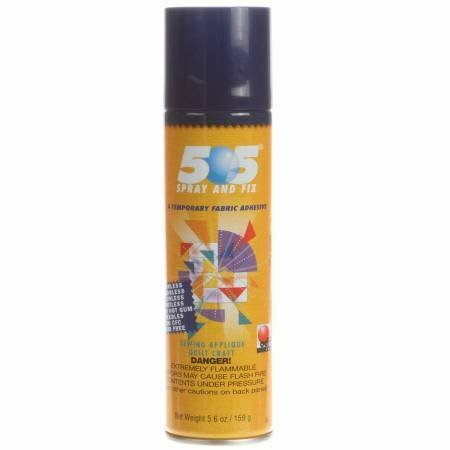 Spray & Fix 505 Adhesive, 12.4 oz.- Temporary, repositionable, fabric adhesive used to temporarily bond fabric. Odorless, colorless, no mist, does not gum sewing needles. Use for machine applique, quilting,basting, holding fabric to stabilizers in machine embroidery and hemming.